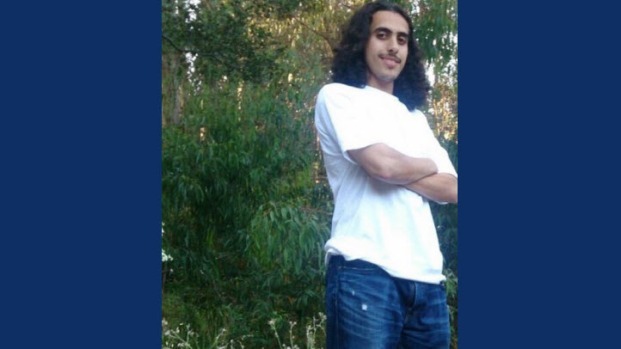 Friends and relatives of Amer Sinan Alhaggagi, an Oakland man indicted on terrorism charges, are reeling from the accusations levied against him. NBC Bay Area’s Investigative Unit first broke the news that the 22-year-old Alhaggagi was indicted late last week for attempting to provide support to the terrorist group ISIS. The suspect's shocked family broke its silence when Alhaggagi's uncle, Hashem Awnallah, told NBC Bay Area that the charges are unbelievable. "It doesn’t jibe, frankly," he said. "It doesn’t add up, OK, because that’s not the person we know." Federal prosecutors in a December detention hearing recounted in detail conversations dating back to last July that Alhaggagi had with FBI informants posing as ISIS sympathizers. Court records go further and said Alhaggagi had a goal to kill 10,000 people and target the UC Berkeley campus as well as San Francisco's Chinatown, downtown and Mission Street. Awnallah, however, painted a very different picture of Alhaggagi. Awnallah has been involved in humanitarian work for years, helping people in his birth country of Yemen escape the war that’s raging there. He said his nephew had carried on the family tradition of helping the community. "His mother was known for cooking plenty of charitable food and Amer was well known for helping distribute that food," he said. Awnallah, the brother of Alhaggagi’s mother, said Amer was born in the United States after his parents moved here from Yemen in search of opportunity and a better life for their children. He described them as a tight-knit, law-abiding family with close ties to the community. Amer’s younger sister, he said, was honored Friday for outstanding achievement in her summer school courses. “He has never been known to be either violent, radicalized, or harmful to anyone,” Awnallah said. Alhaggagi grew up in the East Bay, attending Berkeley’s Emerson Elementary before graduating from Berkeley High School in 2013. After graduating, Awnallah said Alhaggagi worked several jobs and enrolled in classes at Berkeley City College. Alhaggagi’s friends also said that the young man they knew was thoughtful and generous. Alhaggagi remains in custody. In addition to a terrorism-related charge, he's accused of identity theft and credit card fraud. His defense team told NBC Bay Area that the charges against their client are overblown. He was naive and boasting about his plans, but never intended to actually follow through, they said. Alhaggagi's family told NBC Bay Area that trips to Saudi Arabia and Yemen prosecutors say may have been connected to extremist activity were in fact far more innocent. The trip to Saudi Arabia, they said, was to attend his sister's wedding. The last time he was in Yemen, they said, was to visit family long before he even graduated from high school. Alhaggagi’s family now awaits his day in court as they continue to cope with his arrest in shock and disbelief. “We have faith in the American justice system and we look forward to due process,” Awnallah said. Liz Wagner also contributed to this report.